Is a Degree Necessary to Teach English Abroad? If you're interested in teaching English abroad , you may need a degree. Visa requirements vary from country to country but many countries require a college degree. Besides fulfilling visa requirements degrees often give you an extra push to get a better job or higher salary. If you don't have a degree, you should really try to get one. Think about it: could you teach in your home country without a degree? If you don’t have a degree you can still teach English but it does complicate things. Where Can I Teach English Without a Degree? Some countries will get a work visa or a cultural exchange visa. You may have to prove that you have a couple ears of work experience and/or a TEFL cert. Some places such as Latin America won't get you a visa at all. In general Central Europe, Latin America, and South East Asia are pretty flexible on the degree issue. However, in Asia the government is now making it much harder for foreigners to teach without a degree and they're cracking down on (deporting / fining / jailing) illegal workers. Some people lie and say that they have a degree when they don't. They get fake degrees and fake transcripts. Not advisable since sooner or later someone will find out. Here's an article about someone who got caught lying about having a degree. The results will surprise you; degrees aren't the end-all they used to be. Here are countries where people have worked without a degree. Keep in mind that nothing is set in stone. Some people have worked in Thailand and Vietnam without a degree while others have been told they need a degree. Those without a degree have sometimes been asked for a TEFL cert. Be aware that rules are always changing. According to tttompatz, all ASEAN countries will require people to have a degree in order to teach English. China: Technically you need a degree, 2 years experience, a TEFL cert, and to be over the age of 24. Czech Republic: Try reading Chris Westergaard's info on teaching in Prague. Ecuador: Recent changes in legislation require you to have a degree in English or Education. Indonesia: Indonesia's Immigration Authority require a TEFL cert and a degree in English or Education. Japan: See the next section written by Glenski, a long time teacher in Japan. Peru: You'll be on a tourist visa though. You can border hop or pay the $1 day fine. Taiwan: Need an AA degree and a TEFL cert. Thailand: Might be able to work without a degree. Turkey: You'll be on a tourist visa and have to border hop. A "B" visa while allow you to stay in country 90 days while your work permit is being processed. To work more than 90 days you'll have to get a work permit from the labour office. Teachers without degrees or teaching licenses can get "B" visas IF they have a TEFL cert. A TEFL cert is only needed if you don't have a degree or to fulfill an employer requirement. Go to a country that doesn't require a degree. Spousal visa. If you are married to a local you may not need a degree. Student visa. You have to pay tuition and then you can work and study. Dependent visa. If you are married to a permanent resident you can work. Cultural activities visa. You can study a craft (Japan) and work. With experience (3 years min for Japan) you don't need a degree for a work visa. Due to heritage (second generation Japanese) you don't need a work visa. If you plan to make teaching English your career and would like to be able to save for retirement you will probably need a degree. Distance study and courses for mature students are making it easier for everyone to get a college education. The US Department of Education has recently released a study that shows that students who study online perform better. If money's an issue, check out the Art of Manliness, which has some good info about Testing Out: How to "Moneyball" Your Way to a Debt-Free College Degree. Outside credit by examination. You can take tests such as ACE, ECE, and CLEP. The college's credit by examination. Each college might have exams that you can take. AP. Theses courses are studied during high school but you don't have to be in high school to take the exams. DANTES (DSST). These are usually for people in the military. Subject specific exams. Criminal Justice/Police Proficiency Examinations, and Medical Terminology Examination are some examples. Wilbur Wright College is one college that accepts these. Applicable certifications. Military credits, Foreign credentials, Certified Child Development Credentials, Emergency Medical Services (paramedic certification), and Licensed/Practical Nursing certifications are just a few that may be accepted. Life experience. Some schools will give you college credit if you have documented work or volunteer. You may have to create a portfolio to document your experience. If money's an issue you could go through a community college for two years, then transfer. Try Clovis Community College, New Mexico. Here are some that you might want to look at. In addition to the colleges and universities above, try these. There are plenty of people who have been able to become successful despite the fact that they don't have a degree. Keep in mind that there are also plenty of underemployed, jobless, unsuccessful people who don't have a degree as well. I found this in Cool Career for Dummies. While in some cases you won't get hired without a degree, for example, it's an immigration requirement, in other cases your experience might outweigh the fact that you don't have a degree. You have everything to gain and nothing to lose. When you’re inundated with applications, it’s tempting to weed out those without a degree, but I believe I’m worth a look precisely because I don’t have a degree. I considered getting a BA, but after talking with a number of BA holders and examining the courses I would have to take and their relevance to becoming a good software marketing manager, I concluded that four years could be more profitably spent. I contacted directors of marketing at leading Silicon Valley software companies and offered to work for them for free in exchange for their mentoring. I figured that was cheap tuition for the on-target learning I would receive. A marketing manager at HP took me on. After three months, I felt I had learned about as much from him as I could, whereupon I made a similar arrangement with a director of marketing at Cisco Systems.In these apprenticeships, I was deeply involved in a number of projects similar to those mentioned in your ad, specifically internet marketing and managing a national consumer branding campaign. In addition, I attend American Marketing Association conferences, read the best articles and books recommended by the AMA, and spend much of my commute time listening to relevant books on DC. To get the bigger picture, I even read a couple of books by leading academics. But now comes the moment of truth. In choosing a self-directed education over a traditional one, I believe I prioritized substance over form. Now the question is: Will you interview me? I hope that you’ll appreciate my having developed an outside-the-box learning plan, that I was assertive enough to make it happen, and persistent enough to see it through to completion without a professor and deadlines forcing me to do so. Perhaps more important, in working at the right hand of top software marketing executive, I learned a tremendous amount about how to do the job well.I recently discussed my self-education with a BA holder from Stanford and he said that I probably learned more of real-value than he did. I’m hoping you will call me for an interview, but as with any good employee, I won’t just wait passively. If I haven’t heard from you in a week, I will take the liberty of phoning to follow up. I’m enclosing samples of the deliverables I produced during my work at HP and cisco. Thank you for your consideration. Also published in the Turkish University Press. I'm not sure why there are no comments on this post. I only wanted to say that this is extremely to me, so thanks for posting and updating. I'm not sure why there are no comments either :) Glad to help out. Glad it's worked out for you! Sorry to hear that. Have you looked into international schools jobs fairs? internationalschoolsreview.com has good info. No idea how to get in touch with Dave other than email or Facebook. there are a hundred and one vacancies in hanoi for VYL native speakers. I am trying to get away from it! I like little kids but not in a classroom. i had to compromise and accept a couple of kinder sessions because my old friend was desperate. i can give contact[s] to anyone or they can check out newhanoian website. VYL is very young learners? I had completed my Diploma in TESOL Course successfully from American TESOL Institute, Kolkatta, India. I am not a graduate and not even a native speaker of English but have a valid Indian Passport. I am practicing English from past 15 years and had completed Cambridge BULATS exam successfully with good grades. So, please let me know are there any opportunities for me to teach English in abroad or even any volunteer opportunity to teach English. If possible I request you to provide me list of countries as well as their websites where I can upload my resume for getting selected. Please reply me at your convenience. Are You Ready to Teach English Abroad? Are You Too Young to Teach English Abroad? Should You Study a TEFL Course at Home or Abroad? Are You Too Old to Teach English Abroad? 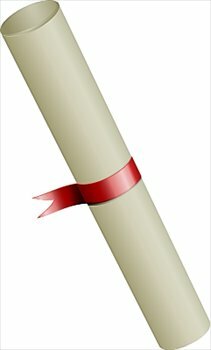 Is a TEFL cert necessary?